Grabill is using its custom finish wizardry to provide its designers with new transparent color alternatives. 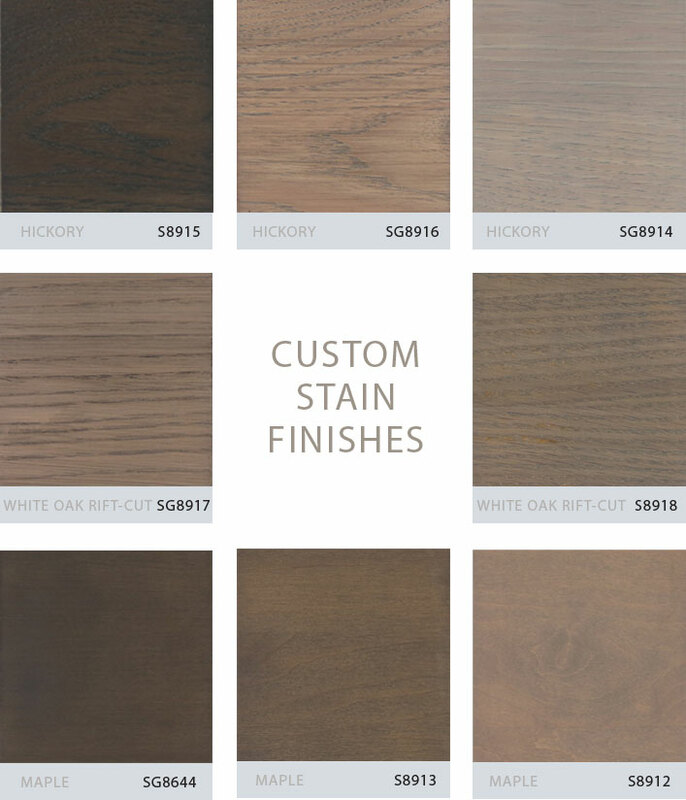 These stains and stain glaze combinations complement the painted finishes now dominating contemporary cabinetry styles. The artisans at Grabill want to share some of their personalized solutions with other designers to give them fresh ideas for the distinctive and affordable finishes their clients are seeking. 2014-02_Grabill_Gray_Stains This reference sheet includes a collection of 8 gray stain & stain/glaze finishes. We hope you and your clients will appreciate a creative palette of color tones and techniques from the talented hands of our artisans. Please contact Jackie Smith at 260.207.5500 or via email at jackies@grabillcabinets.com for information about Express orders or custom finishes. Your partnership with us is greatly appreciated!